Open source military analysis, strategic thinking, and imagery interpretation. To locate Google Earth placemark files for download, select the label "Google Earth Placemark" from the keywords menu. Comments are welcome and encouraged. With the advent of military satellites being tasked to perform a variety of roles, the task of satellite detection and tracking played a prominent role in the history of the Cold War. Such complex systems were necessary for the identification of foreign intelligence-gathering satellites to ensure the continued secrecy of sensitive activities, and to provide accurate orbital parametric data for use by ASAT weapon systems. Two of the most advanced satellite detection systems in operation today were products of this Cold War environment: Okno and Krona. The first Soviet effort to produce a dedicated space surveillance complex capable of tracking artificial objects orbiting the Earth was the 5N15 Dnestr (HEN HOUSE) radar system. 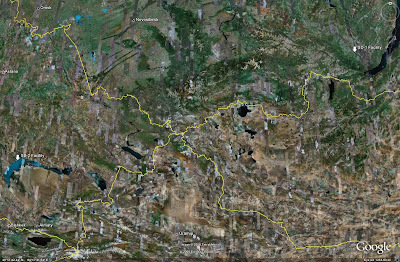 Dnestr radars would be placed at two sites, SD-1 near Irkutsk and SD-2 near Sary Shagan; SD stood for Satellite Detection. Each site would feature four Dnestr radar complexes, with each complex consisting of two arrays joined in the center by a central command and control facility. The Dnestr radars were initially intended to form the acquisition and tracking potrion of an ASAT system, employing the 5V91 intercept vehicle launched by SLVs at Baikonur, designed to destroy satellites orbiting at altitudes of up to 1000 km. This ASAT system entered limited operational service in 1973, with command and control facilities located at Noginsk. The first successful intercept test was conducted on 1 November 1968. Following the testing of a small-scale array at Sary Shagan, construction of the SD-1 and SD-2 facilities began in 1964. The system passed state acceptance trials in May of 1967. Dnestr radars employed by the SD facilities were capable of tracking satellites at altitudes between 250 and 1000 kilometers and generating three simultaneous target tracks for the ASAT role. Later, Dnestr radars were incorporated into the BMEW network along with numerous modified and developed variants designed specifically to serve in that capacity. The first variant produced to provide a long-range BMEW capability was the 5N15M Dnestr-M. The Dnestr-M had a significant signal-processing flaw during early stages of development. The automated systems designed to track space objects 24 hours a day were not sufficiently capable of calculating trajectory information, leading to numerous false launch warnings being issued. Eventually this deficiency was corrected and the Dnestr-M complexes were integrated into the national BMEW network. Dnestr-M radars also retained the ability to provide target track data to ASAT interceptors, and were capable of tracking six simultaneous targets for intercept. The Okno system is a fully automated optical tracking station used for the identification of satellites. Optical telescopes scan the night sky, while computer systems analyze the results and filter out the stars through analysis and comparison of velocities, luminosities, and trajectories. Satellites are then tracked with orbital parameters being calculated and logged. Okno can detect and track satellites orbiting the Earth at altitudes between 2,000 and 40,000 kilometers. This increased altitude capability over the earlier Dnestr space surveillance radar system was necessitated due to the fielding of American surveillance satellites operating in high geostationary orbits outside Dnestr's field of view. Development of the Okno system began in the late 1960s. By late 1971, prototypes of the optical systems destined for use in the Okno complex were being trialled at Byurukan Observatory in Armenia. Preliminary design work for the operational system was completed in 1976 and approved in 1977. Construction of the Okno site near Nurek in Tajikistan began in 1980. By the middle of 1992, the facilities, electronic systems, and a portion of the sensor suite was complete. Unfortunately, a civil war in Tajikistan put an end to construction efforts on 6 August 1992, with work resuming in 1994. The system began to undergo operational trials in late 1999 and was placed on combat duty in July of 2002. The Okno system is situated near Nurek, Tajikistan, approximately fifty kilometers southeast of the capital of Dushanbe. The main facility consists of ten telescopes covered by large clamshell domes. The telescopes are divided into two stations, with the detection complex containing six telescopes and the tracking station containing four. Each station features its own control center, with a central command and control center, likely also housing the detection and tracking computer systems, located in the center of the facility. Also present is an eleventh, smaller dome mounted atop a much smaller building. It is not known what function this additional facility performs. It may contain some sort of atmospheric measuring equipment used to assess atmospheric conditions before activation of the system. 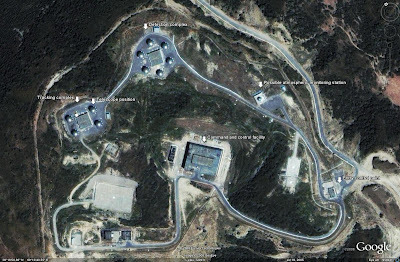 A power substation is located one kilometer south of the main complex, with administrative facilities and barracks being located approximately one kilometer north of the main complex. In 1980 the Okno-S system was commissioned. Original plans called for the construction of four Okno and four Okno-S sites at various locations throughout the USSR and allied nations such as Cuba. Foreign locations were later rejected, and later plans called for the single Okno site at Nurek to be supported by two Okno-S sites in the Ukraine and eastern Russia. In the end, work only began on the eastern Okno-S site, to be located in the Primorye territory. Okno-S is a high-altitude optical surveillance system based on the Okno complex design. The primary difference is in the area of interest. Okno-S is only designed to monitor an altitude band between 30,000 and 40,000 kilometers, permitting geostationary satellites to be located over a wider area. Work on the Okno-S complex began in the early 1980s. It is not known if this system was completed and brought to operational readiness. The Okno-S complex is located near Spassk-Dalny, adjacent to Lysiy mountain. 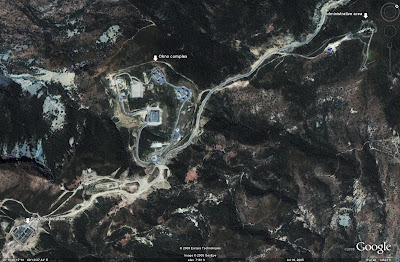 Currently available satellite imagery of the region precludes accurately locating the facility. The Krona system has a range of 3200 kilometers and can detect targets orbiting at a height of up to 40,000 kilometers. Development of the Krona system began in 1974 when it was determined that current space-tracking systems were unable to accurately identify the type of satellite being tracked. Target discrimination was an important component of any ASAT program. Preliminary design work for the Krona complex, designated 45J6, was completed in 1976. The radar system was designated 20J6, and comprised both the decimetric and centimetric band systems. The optical/laser complex was designated 30J6 with separate housings for the optical telescope and laser system. The centimetric-band radar system incorporated into the 20J6 system was designed in part to provide telemetry data to direct the 30J6 optical/laser system. The laser system was designed to provide target illumination for the optical system, which would capture images of target satellites at night or in clear weather. Favorable atmospheric qualities were one factor in determining the location of the Krona systems. Construction of the first Krona facility began in 1979 near Storozhevaya in southwestern Russia. 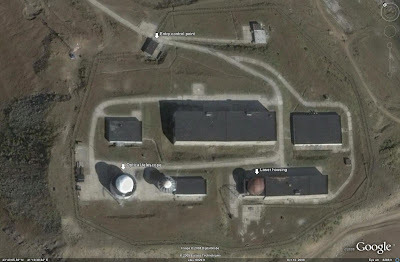 The facility was originally intended to be co-located with the Zelenchuk observatory, but concerns over interference with the observatory's systems led to the relocation of the Krona complex. Primary work on the facilities at Storozhevaya was completed in 1984, but economic difficulties prevented factory and state testing from being undertaken until 1992. State acceptance testing was completed by January 1994, but once again funding issues intervened and the system was not declared operational until November of 1999. As of 2003 work on the optical/laser system was not completed due to financial constraints, but a 2007 Russian television program featuring the Krona system indicates that the 30J6 system was completed sometime in the intervening period, attaining at least a limited operational capability. It was initially planned to construct three Krona complexes. 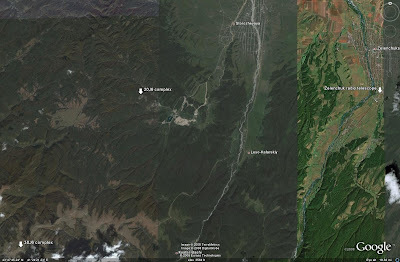 The second Krona complex would have been located near the Okno complex in Tajikistan, with the third complex being located near Nakhodka in the Russian Far East. During the 1980s work was suspended on the second and third Krona complexes for financial reasons, but work on the Nakhodka complex was eventually resumed. The Nakhodka Krona system has sometimes been referred to as Krona-N, with the N likely representing either the location or the fact that the system is a radar only system; there is not a 30J6 complex at the Nakhodka location. Work was never resumed on the Tajikistan Krona site due in part to the civil unrest plaguing the region in the early 1990s. At various points in history, both the Okno and Krona complexes were associated with laser weapon systems by Western intelligence agencies and open source reporting. 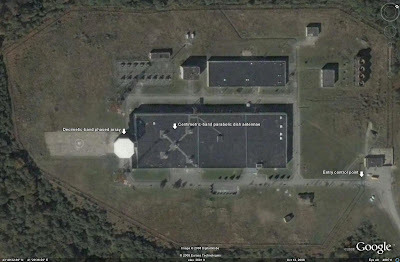 For example, a declassified CIA National Intelligence Report from December of 1985 titled "Soviet Space Programs" classified the Okno site as a probable laser weapon facility, even going so far as to state that it was possible but less likely that the facility was intended for space surveillance! In truth, only the Krona's 30J6 complex features a laser system, and this system lacks the required characteristics to be used as an offensive weapon. Laser weapon systems were trialled at Sary Shagan in Kazakhstan under various programs, with mixed results, and there is currently no evidence to suggest that they were operationally fielded at any point. With the Okno and Krona complexes operational, Russia maintains a significant space surveillance capability independant of its BMEW assets. These systems have performed various military and civil roles, including an analysis of the surface impact point of the Mir space station and identification of space debris. The performance of the Okno and Krona systems guarantees that the Russian space surveillance network will have a valuable part to play in the areas of national defense and international space exploitation. Alright, I've given this some more thought and decided to remove the separate page for Google Earth files. Instead, they will be hosted there but posted here to keep everything on one site for ease of use. The only thing that will really change is that when I upload placemark files, the information will be posted here along with the download link. To make them easy to find, I'll tag them all with the label "Google Earth Placemark". To find all the posts containing such files, just select that label from the list in the menu area on the right side of the page. This will be better for everyone because you'll only need to keep track of one website and I'll only have to produce textual updates for one site as well. A basic placeholder page will remain at the old link but you will no longer find anything amusing over there. 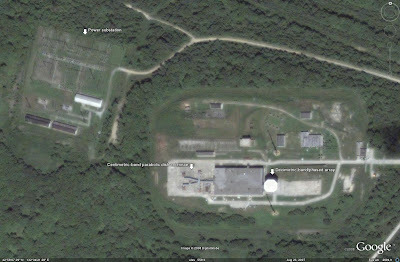 A new site is now available for IMINT & Analysis Google Earth placemark files. It can be accessed by clicking on the link on the right side of the page labeled "IMINT & Analysis Placemarks", or by clicking here. This site will serve as a location to store placemark files which will accompany articles in the future, as well as to host other interesting placemark files I generate. When any new files are uploaded that do not relate to articles here, I'll post an update on this site. You'll then be able to go to the other site and read a description of what is contained inside of the file and download it if you choose. If a file is hosted that pertains to an article written here, then the file's download link will be found at the end of the article, along with a brief description of what is contained inside. Hopefully this will be of use to the readers of this blog. The first file is already available at the new site, it's my worldwide SAM site collection. Yes, that means you'll have to check there for updates from now on, as it'll no longer be hosted at the Google Earth Community. Later on this week I will post some more placemark files dealing with older articles on this site so that they are available to everyone. Once I get a few files hosted, I'll probably give each one of them their own page so that you don't have to scroll through tons of file descriptions to find what you're interested in. IHS Jane's contributor and subject matter expert in the fields of air defense and strategic warfare. All content is the work of the author alone, unless otherwise indicated, and is derived solely from unclassified source material. Sources are given where appropriate; further information can be provided if necessary. For republishing permission, contact the author; republishing in part or in whole is prohibited without the author's prior consent.